Here’s a sample of publications, including books and reports that have been commissioned. T his guide is the second ( and updated) edition of the guidance initially published for WIN and TI in 2010 now published by TI. It is a hands-on guidance document for people and organizations interested in implementing integrity pacts in their procurement processes. Written together with Karen Hussmann, this was a contribution to the Constitutional Assembly’s discussions in Tunisia in 2012 and 2013. Commissioned by IDEA and published by the Center for Constitutional Transitions at NYU. TI’s 2008 Report on Revenue Transparency of Oil and Gas Companies. 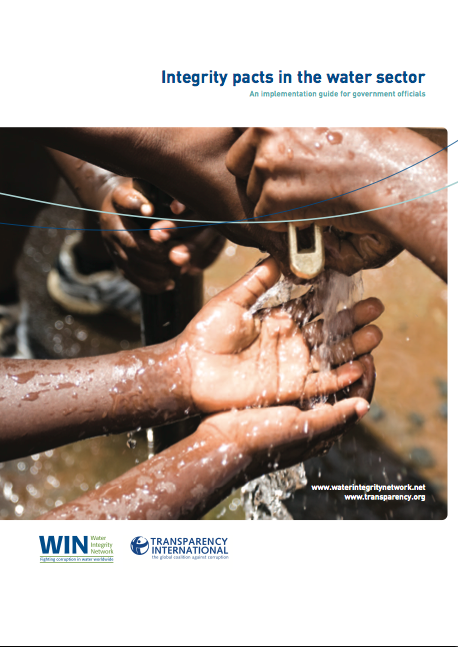 Corruption in Public Contracting Auctions: The Role of Transparency in Bidding Processes. With Frederic Boehm. Annals of Public and Cooperative Economics, Vol. 77, No. 4, pp. 431-452, December 2006. Privatization and Corruption. With Frederic Boehm and Jaime Polanco. In Ernst Ulrich von Weizsacker (EDT), “Limits To Privatization: How To Avoid too Much of a Good Thing”. May 2005. Blacklisting Corrupt Companies. Global Corruption Report 2005. Transparency International. Political corruption and the politics of procurement. Global Corruption Report 2004. Transparency International. Marco Institucional de la Banca de Inversión. In “Gerencia Financiera” Ed. Tercer Mundo y Uniandes. Bogotá, 2000. Compañías de Servicio Público: una administración activa y eficiente. With Mauricio Cárdenas in “Reflexiones acerca del Estatuto Orgánico de Santa Fé de Bogotá”. Bogotá Chamber of Commerce. Bogotá, 1994. An economic perspective on the process of regulation. Private Law Review, # 17. 1995. University of Los Andes, Law School. Bogotá 1995. You all are correct, but when smdebooy start to use the system against the people,then it is dangerous and most worst thing in any democracy and that is what happening in India. Judiciary and executive and upto some extent media collaborated against common people and using laws and constitution-articles against the people for whome it is constituted to provide justice. In the name of Govt. service collecting directly a huge amount from public money in form of higher salaries, and indirectly collecting bribes in all possible forms being controller of private sector. No area of work, no govt. employee is escaped from bribe mechanism. In such scenario, how it is possible that hunger strikes, talks or systematic disucssions can be fruituful with any solid output. It requires again some other ways to explore to suggest the wrong person that he is actually wrong. It is a complex job and need unconditional support from all over the world. Thanks to you all at abroad, that you are linking yourself to this burning issues. Thanks.